"Thank you for this wonderful program which gives my students opportunities they would not otherwise have!" Laguna docents in the news! 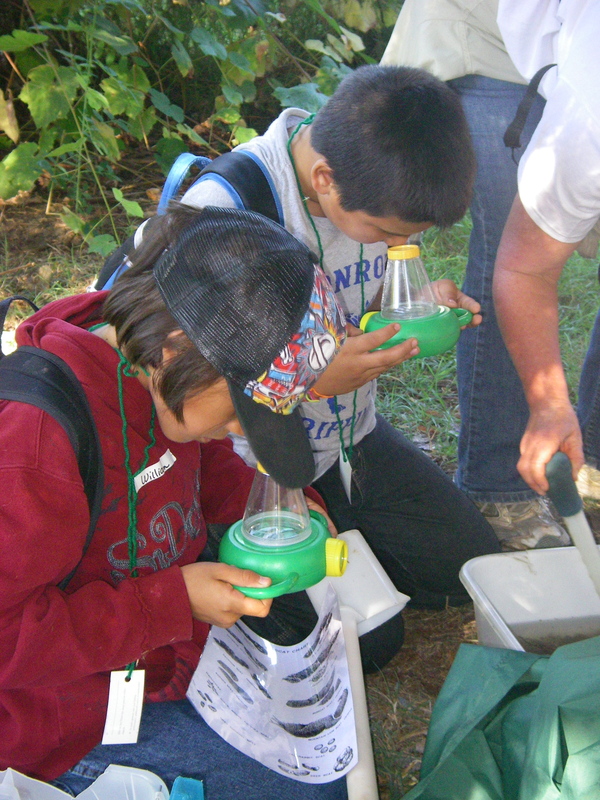 Learning Laguna Docents are trained volunteers who teach the Learning Laguna school program in 2nd-4th grade classrooms throughout the watershed and during student field trips to Laguna preserves. Help the children of our community deepen their enthusiasm, appreciation and knowledge of the Laguna de Santa Rosa and their home environment! Cost: $145 for materials. Payments can be arranged and limited partial scholarships are available. Expand and share your love of nature and nurture the next generation of naturalists! Docents lead groups of school children in the Learning Laguna program, a two-part wetland education experience for 2nd-4th grade students. Docents visit classrooms throughout the Laguna Watershed with specially designed, hands-on, engaging activities, then lead those students on an experiential field trip to the Laguna the following week. make new friends and contribute to the community! Experts in biology, natural history, and environmental education train Learning Laguna Docent volunteers in lively classes and field trips. Training classes include presentations, discussion, and hands-on practice with activities and field trips to special Laguna locations. Classes are held on Monday mornings, Tuesday evenings and culminate with a training team challenge "test." Trainees also schedule extra time to shadow docents working in the classroom and during field trips to put all the course learning into context. Trainees receive a binder with reading and reference material that is closely tied with the theme of each classroom session. After training you will begin working with students in Fall. Docents are asked to make a two-year, minimum 40 hours per year volunteer commitment to the Laguna Foundation. During that time, docents are expected to participate in elementary school classroom and field trips each Fall and Spring. Because the program is focused around the classroom and school year, it requires that docents be able to volunteer during school hours (7:30am-2:30pm), Tuesday through Friday. Doce nts are part of the Laguna Education Team which includes fun opportunities for continuing education, special outings and social events with fellow education programs volunteers. We invite you to join us for this rich and rewarding experience!